Social media is amazing! 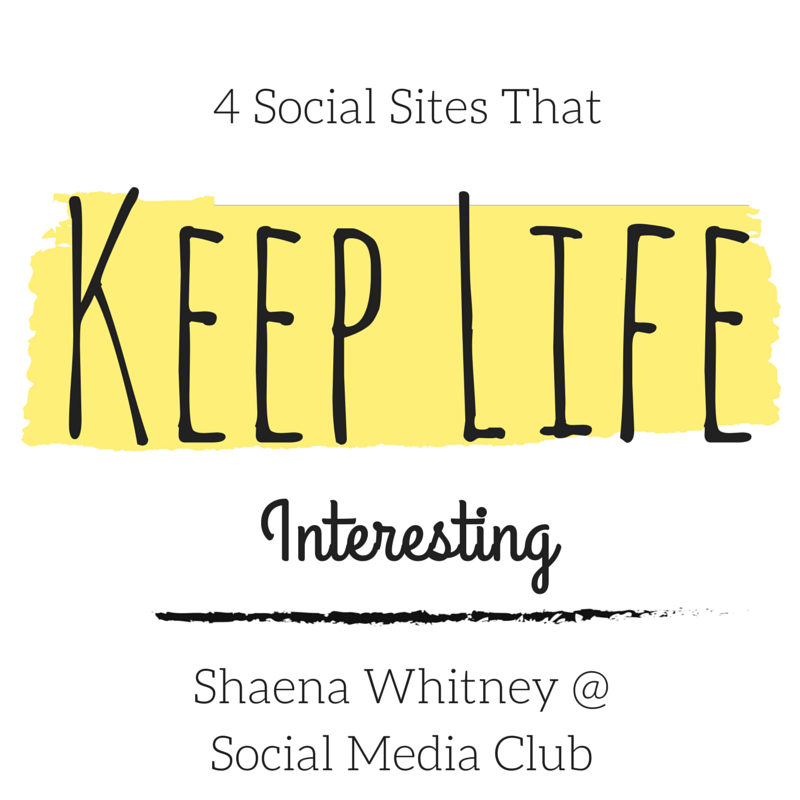 We can connect online to just about anyone with just a few clicks and there are some sites that keep life interesting in addition to keeping us connected. We can build great friendships with people in different countries, we can see updates from that kid we met at camp that one year as they travel through some obscure town and we can talk to our relatives that are back in the homeland. Working in social media can be even more exciting; there’s always an event or a convention where we’re sure to meet with others who love the job as much as we do and there’s always something new that we get to learn about. However, sometimes we forget to take some time for ourselves that doesn’t revolve around networking, even though that can be incredibly fun. Meetup – Meetup is amazing! It doesn’t matter what your fancy is or which demographic you fall into, Meetup has it all! If you’re looking to hang out with other people who love to hike, love to go on snowboarding trips or wine tasting, then you’re bound to meet and connect with those who are also interested in those things. If you’re wanting to try out something new, chances are that you’re not going to be the only person so you don’t have to worry about not keeping up. If what you want is to meet with others who are in your field, you can do that on Meetup too. Volunteer Match – Volunteering is something that I love to do in my free time; having the opportunity to put a smile on someones face by making their day a little bit better is incredibly rewarding. If you’re looking to tutor kids, feed the homeless, help out your local animal shelter or set up an event for Aid for Aids, it’s all available to you. You can tell them where you’re at and what you’re interested and they’ll give you a list of great opportunities. Time Out – Time out is the go-to site for nightlife, art exhibits and shopping in almost any city that you’re in. If you want to know what to do on your trip to the UK or a random night during the week in Los Angeles when you need to cut loose, this is the go-to spot. Bucketlist – Since 2007 when Morgan Freeman and Jack Nicholson starred in the movie The Bucket List the idea of checking off your dreams has become huge. It’s like the adult version of Santa Claus, only you’re Santa. Most of us have a piece of paper somewhere that we wrote back in 2007 with our own bucket list, even if we didn’t see the movie, the buzz of making it happen was contagious and you couldn’t NOT make that list! The fun thing about your own bucket list is that you can keep adding to it whenever you want! One of your friend says that she wants to go on a road trip across America with just a backpack and her Harley and all of the sudden you’re looking up motorcycle classes and prices of Harley’s, and then most likely used Harley’s. Why? Because you hadn’t thought of that before, but the thought made your heart race and caused shivers of excitement and you can’t imagine not doing it now! What was an even greater feeling? Checking something off of your list! So when you’re looking to do something a bit more extraordinary go to your favorite online bucket list and check off, add on and get out there! One more great aspect of these sites is that you can get listed and create events; if you want to throw your own social event to promote your brand or company you can. We get to experience so much greatness through social media platforms and websites that support them. What are some of your favorite ‘social to the streets’ moments? ← Is Strip Commerce On the Rise?